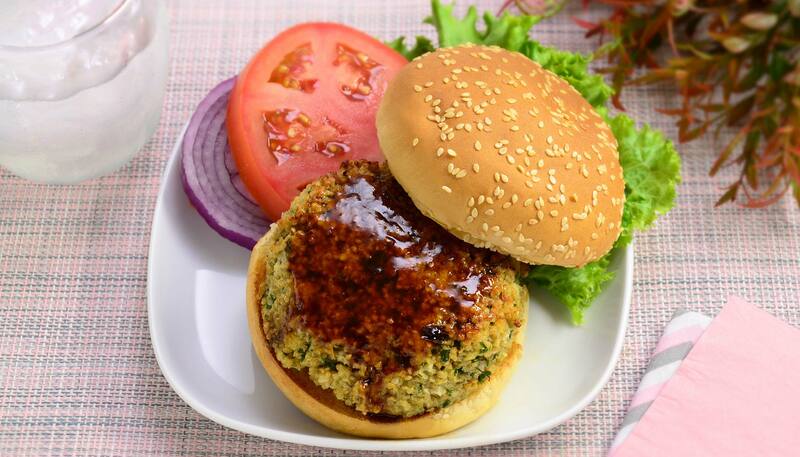 Quinoa patty is a great alternative as a vegetarian dish. 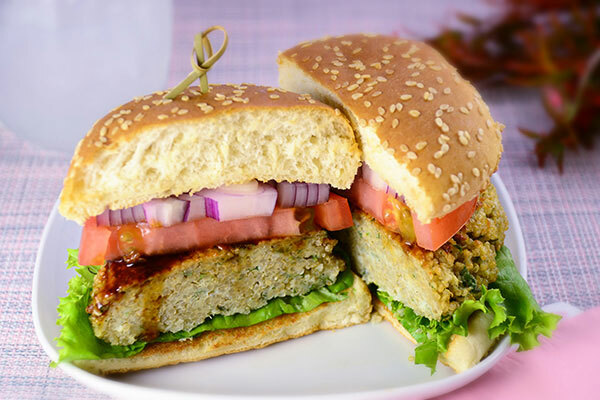 This bean-free patty recipe is versatile – it goes well with rice, as a burger or for a light snack. 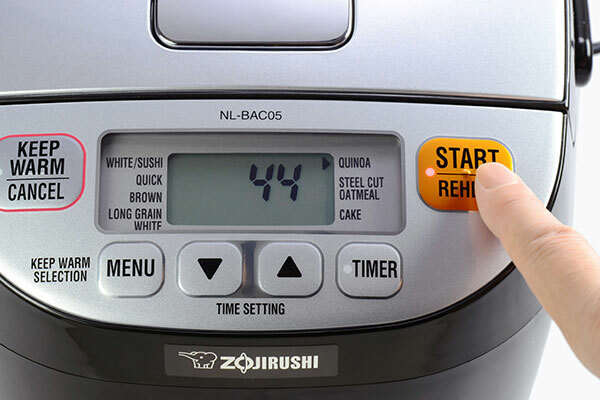 Water to fill to the water level 1 for “Quinoa"
This recipe was developed for the Micom Rice Cooker & Warmer NL-BAC05. 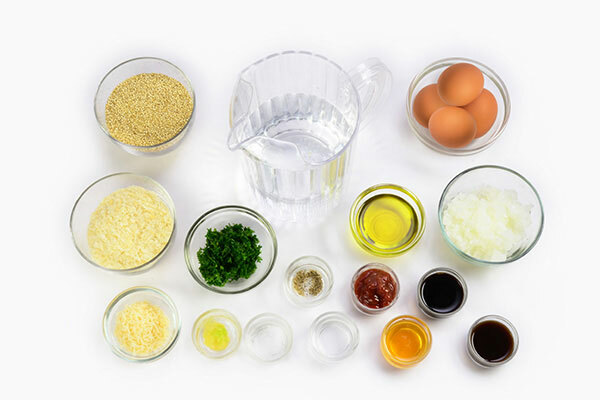 Please follow your Quick Start Guide on how to cook quinoa in your model. This recipe CANNOT be made in the Pressure IH Rice Cooker (NP-HTC10/18, NP-NVC10/18 models). 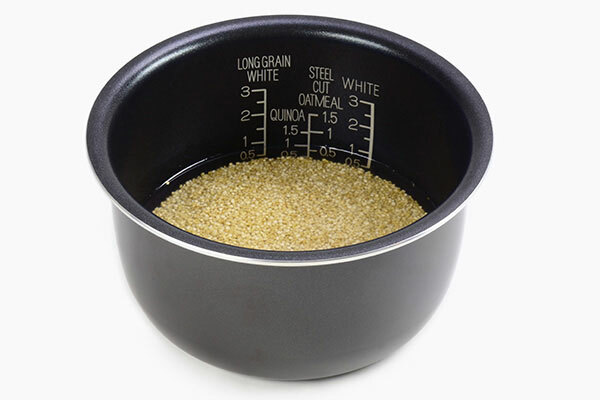 Measure quinoa accurately using the measuring cup that came with your rice cooker and add to the inner cooking pan. If quinoa is not pre-rinsed, place it in a fine mesh strainer, rinse with water and add to the inner cooking pan. Add water to the water level marked “1” for “Quinoa”. Cook using the "Quinoa" setting. 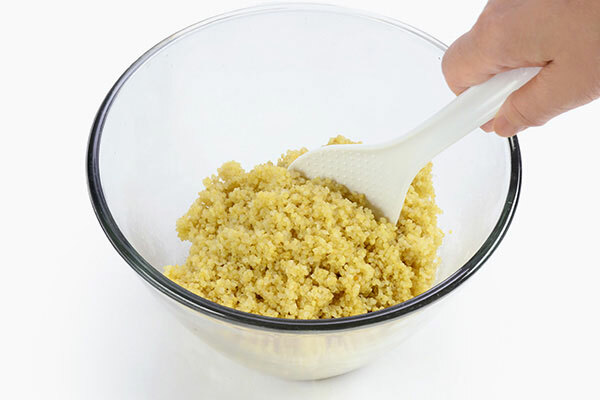 When quinoa completes cooking, transfer it to a large bowl and allow to cool slightly. 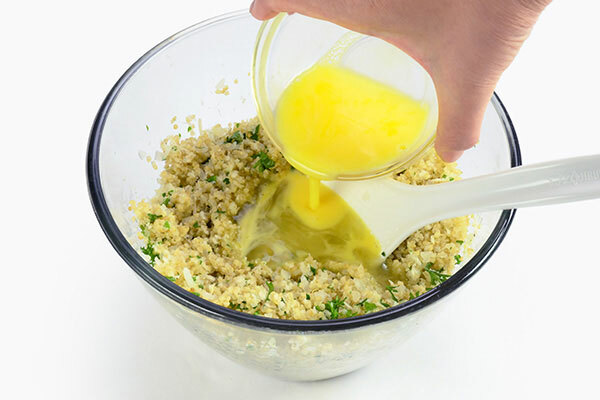 When quinoa is cool, add onion, parmesan cheese, salt, pepper, bread crumbs, garlic and parsley to the bowl and mix well. When the mixture is cool to the touch, add beaten eggs and mix well. Heat olive oil in a frying pan. 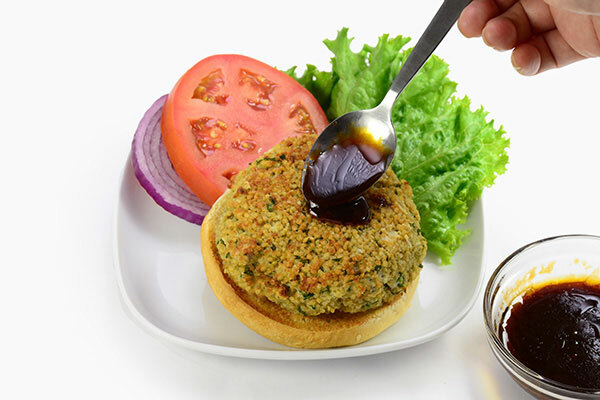 Divide mixture into four and make four large patties. Place patties on the frying pan and cook for 3 minutes each side over medium low heat. Turn heat off and transfer to a serving plate to set aside. Reserve the leftover grease. Make the sauce. 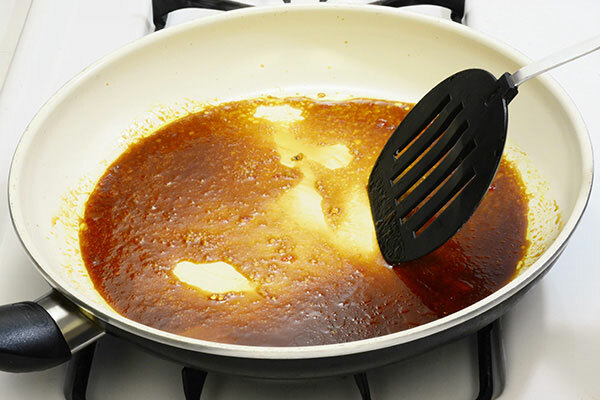 Add all ingredients for Sauce to the same frying pan. Stir to mix and bring to a simmer. Turn heat off, remove from heat and pour over the patties. 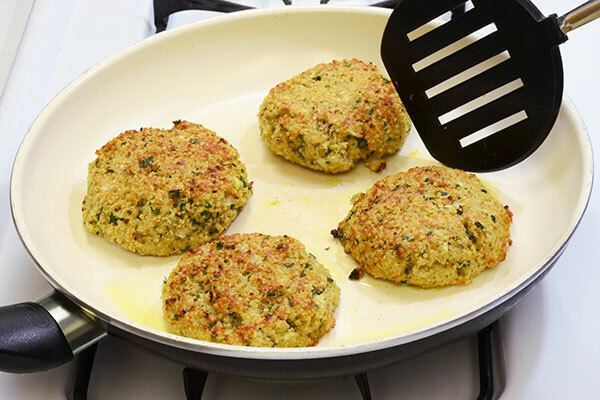 Serve with rice or turn them into burgers.